What a lovely addition to a girls room! 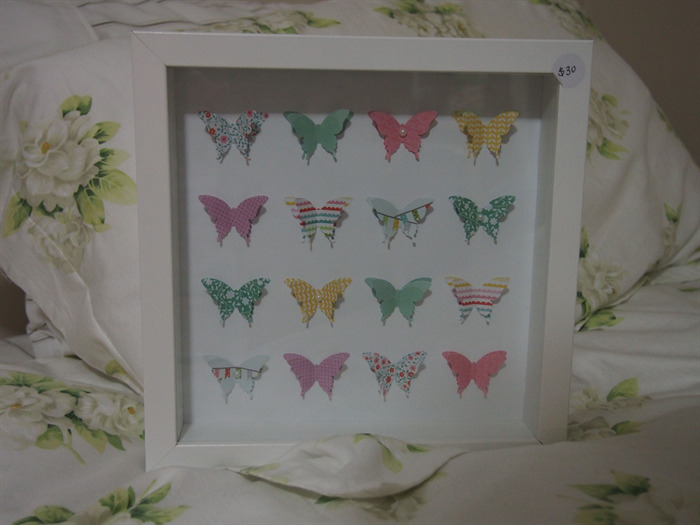 There are 16 beautiful 3D butterflies in pink, aqua and yellow tones finished off in a white frame. These can be hung on the wall or just sit on a shelf.